The Fl* development team has released v 1.3.23 of Flrig; the cross-platform, open-source rig control software. This is a maintenance release with minor fixes as well as additions for a variety of rigs, including the FT817/857D/897D, FT900, TS590SG, FT990, IC7800 and a variety of Kenwood rigs. 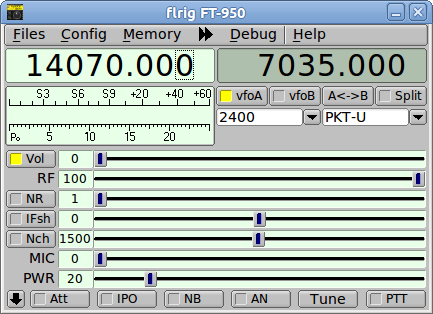 Flrig provides in-depth receiver control which interoperates with the entire Fl* suite, providing a complete rig control, logging, digital mode, and Emcomm messaging solution on OS X as well as Linux and Windows. Flrig supports both PowerPC and Intel processors. Separate downloads are available for each from the FLRIG download page.